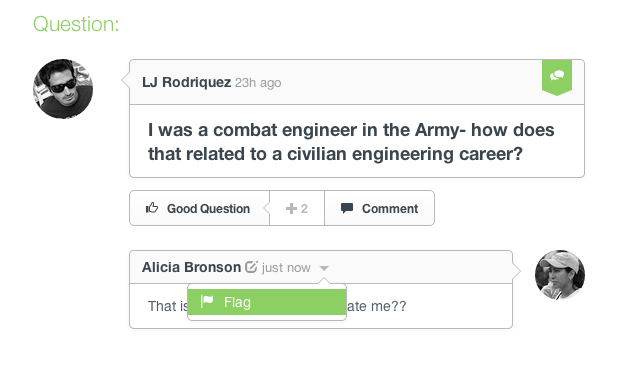 You can flag any comment, question or answer as inappropriate by simply hovering above and clicking the down arrow, then selecting 'Flag'. A confirmation window will appear and ask if you would like to mark as inappropriate. The comment will then be sent to a moderator for review. If it is found to be inappropriate, it will be removed. 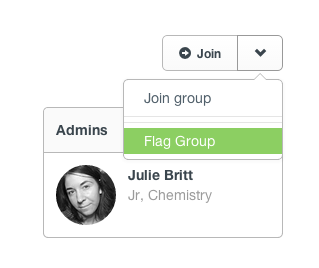 Additionally you can flag Groups, Users or Events as inappropriate. 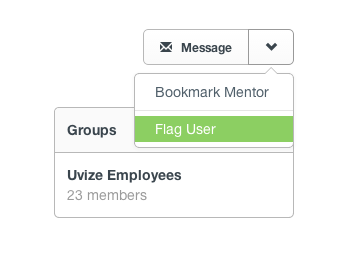 From the Group page, click the down arrow next to the Join button and select the 'Flag Group' option. From the User page, click the down arrow next to the Message button and select the 'Flag User' option. 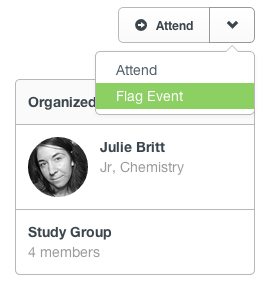 From the Event page, click the down arrow next to the Attend button and select the 'Flag Event' option.